“Your mission Vault Dweller, should you choose to accept it, is to pick put a Pip-Boy and… its not *that* ‘’fallout’’, is it?” Now I really want the next Fallout to be a post-apocalyptic spy thriller, and given what happens this time around, it could very well be. The sixth installment of this long running franchise begins with and possibly ends with a bang. The mission begins with Ethan Hunt (Tom Cruise) and his team Benji (Simon Pegg) and Luther (Ving Rhames) intercept a deal for plutonian cores, but the exchange goes sideways and they loose the package. 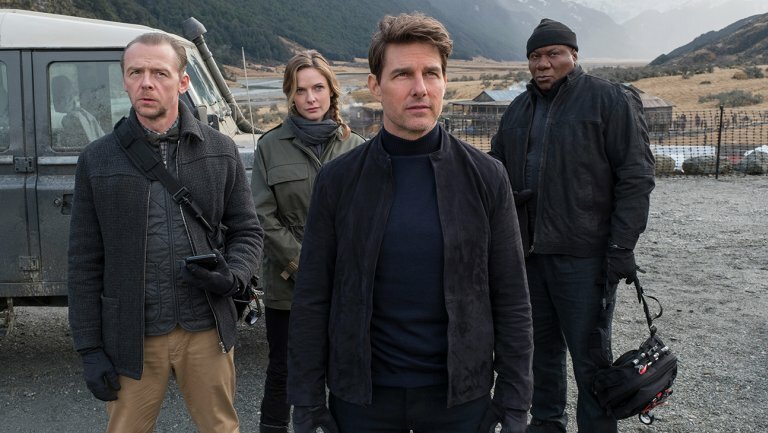 However, the trail is still hot so IMF Secretary Hunley (Alec Baldwin) sends Ethan but he has be accompanied by CIA agent Walker (Henry Cavil) to catch the suspected mastermind, code named ‘’John Lark’’. 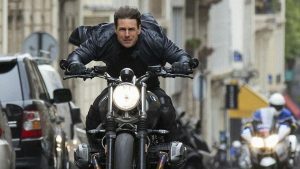 Parachuting over Paris, the two locate the contact and an intense bathroom brawl ensues, but he proves too much and is killed by Isla Faust (Rebecca Ferguson). Ethan opts to go in the contacts place for the meeting with arms dealer ‘’White Widow’’. Assuming John Lark’s identity Ethan makes contact and a deal is arranged- the Widow will give Ethan the stolen plutonian cores if he springs Solomon Lane (Sean Harris) – the former leader of the Syndicate- from government custody. Ethan and his team proceed to spring Lane while losing the Widow’s men in the process but complicating matters further, Isla re-enters the picture intend to kill Lane on behalf on MI6 in exchange for asylum. Things don’t become any simpler with the sheer scope of schemes, deceptions and double identities and loyalties, but the short version is preventing Lane’s former charges from detonating two nuclear bombs, no pressure. 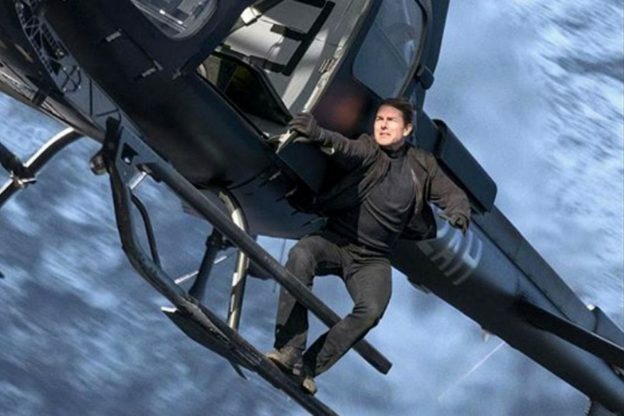 Mission: Impossible has become perhaps a most reliable summer blockbuster franchise, thanks in no small part for its high concept espionage thriller and death defying stunts, and constant use of Scooby Doo masks. Its balls-to-the-walls absurd and we love it. This entry was posted in Blog on August 2, 2018 by SETV.